How do event production companies charge their clients for labor? Determining this is a hot topic to say the least. This question led to one of our highest respondent surveys yet! 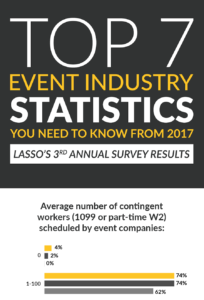 Today we’d like to shed some light on the numerous ways companies in this space are charging for their event labor. 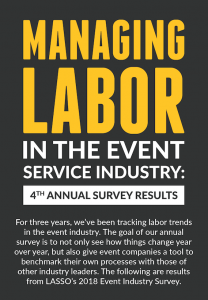 LASSO recently sent out a poll to event production executives asking them how they bill their clients for labor. 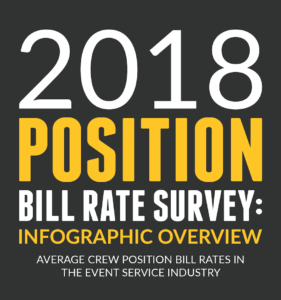 Although there seems to be a vast number of ways to charge clients for event labor, we were on a mission to see if any industry standards exist. 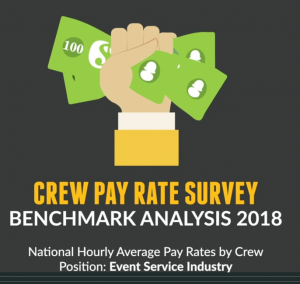 When event labor can represent upwards of 50% of your overall project, making sure that you are making the most out of how you charge for crew can be the difference between a profitable or upside down event. Fill out the form below get these results and see how the industry is billing. Why is this all so important? Because event production companies want to be competitive, without leaving money on the table. They don’t want to gouge their customers, but they also don’t want to give away the farm. It’s a balancing act and companies are always looking left and right to see what their competition is doing. Well, look no further! 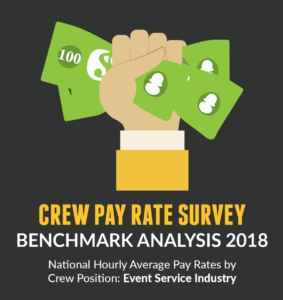 In the event industry, it can also be a challenge to incentivize your crew with solid pay to show up and perform well, while balancing growing customer expectations and tight budgets. 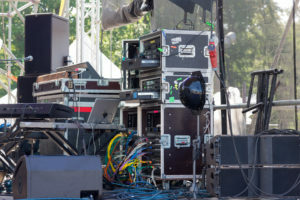 Unfortunately, numerous event production companies end up giving away revenue or even (yikes!) becoming upside down on an event. Why? Because they don’t have an efficient way to easily obtain their total costs of labor BEFORE an event actually occurs. They are also not able to conveniently monitor labor costs and workflows, deal with constant event changes, and understand what to do when costs creep up unexpectedly. In a recent blog post, we asked, “Are you billing fixed amounts for variable costs?” What does this mean? 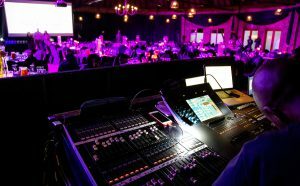 Well, many in the event production industry are billing their clients a fixed amount for costs that constantly change which, simply put, can be costly and a recipe for lost profits. 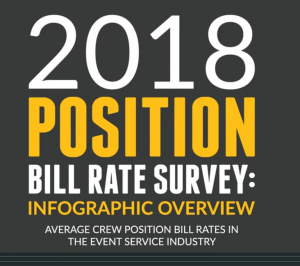 However, if you are able to determine your true crew costs PRIOR to your event, you are then able to better forecast and more accurately provide quotes and invoices to your customers – no matter how you choose to bill them. This is where LASSO can help. 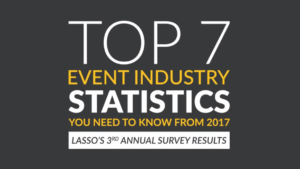 Request a demo to see how LASSO’s real-time analytics and other robust features not only give you actual insight into the profitability of your events, but also give you more control of your costs. Complete this form to view the survey results!